Get ready to test drive a Cadillac! 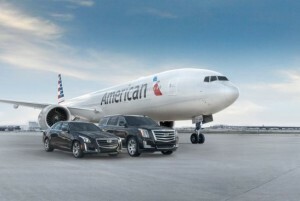 American Airlines and Cadillac Partners – photo courtesy of GM press release. 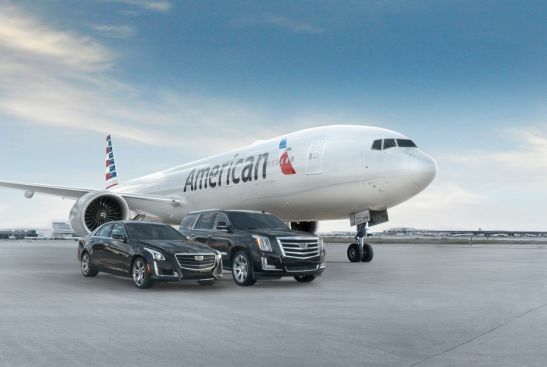 Members can earn 7,500 AAdvantage miles when the call a service desk and register a time to test drive a Cadillac at a nearby dealership. Unfortunately, the news release doesn’t state when this will start. So, do you see yourself test driving a Cadillac? Since March, the travel community has been watching the proceedings around H.R. 4156, better known as The Transparent Airfares Act of 2014. In what some are calling a sneaky move, the bill was placed on the suspension calendar earlier in July. And on Monday, July 28, the House of Representatives passed the Transparent Airfares Act by a verbal vote, not requiring a vote count from the floor. With a simple majority, the bill will move on to the Senate for another vote, before ending up on the President’s desk to be signed into law. Both sides have their reasons for being for or against the Transparent Airfares Act. More importantly, both sides want you to believe that the future of the bill will change the way we fly forever. The Transparent Airfares Act was introduced to the House of Representatives on March 6, 2014. The bill was introduced by Rep. Bill Schuster, a Republican from Pennsylvania, and co-sponsored by a bi-partisan group that includes Democrats Peter DeFazio, Rick Larsen, and Nick Rahall, as well as Republicans Tom Graves and Frank LoBiondo. The bill went to the House Transportation Committee, and sold as a clarification of the 2012 Department of Transportation mandate that required airlines to advertise airfare with taxes and fees included. The bill was presented under the auspices that “Virtually all consumer products are sold at a base price, with taxes added on at the point of purchase… H.R. 4156 will allow air carriers and ticket agents to display the actual cost of air travel in a clear and transparent way–enabling passengers to see the base airfare as well as the government-imposed taxes and fees.” Without a hearing on the bill, the Transportation Committee recommended the bill for passage without amendment. Several organizations, including the U.S. Travel Association, Airlines for America (the advocacy group for the American air carriers), and the National Taxpayers Union have expressed their support for the passing of the Transparent Airfares Act. The proponents of the bill tout that having the additional transparency would allow travelers to make better decisions when it comes to their travel. Additionally, travelers would be able to fully understand how much of their flight is the airfare, and how much is taxes. In a release sent immediately after the House passage of the Transparent Airfares Act, Airlines for America wrote: “…nearly $63, or 21 percent, of a typical $300 domestic round-trip ticket is actually federal taxes and fees in disguise. Under current law, many consumers shop for travel, unaware how the higher TSA fee or the other federally imposed taxes are impacting their advertised airfare prices.” Each of the proponent groups agree that the bill would provide travelers the transparency they deserve, so they can understand where their taxes and fees are going. Many travel and consumer watchdog organizations, including the American Society of Travel Agents, have expressed their dissent for the Transparent Airfares Act. Opponents say that allowing the bill to pass would allow airlines to advertise deceptively low airfares that would bait the traveler into buying into a price that doesn’t exist. American Society of Travel Agents CEO Zane Kerby said in a release: “This bill would allow airlines to deceive travelers about the actual cost of a flight, a fight they already lost in 2012 when the Department of Transportation put rules in place to prevent precisely this situation…There is no evidence of consumer harm under the DOT rule, only benefits for the traveling public.” The opponents agree that not being able to compare full airfare could ultimately hurt the public and their travelers through unnecessary expenses. What Can You Do About The Transparent Airfares Act? Having passed through the House of Representatives, the bill now moves to the United States Senate for debate, and ultimately a vote that could send The Transparent Airfares Act to the President. It is important to let your Senator know where you stand on the bill with a letter, phone call, or e-mail. Regardless of what side of the bill you stand on, it’s vital that every traveler get involved in this important bill that could have monumental effects on how we fly. Where do you stand on The Transparent Airfares Act? Let me know where you’re at in the comments below! Last month I shared my process for preparing for an overseas trip. This month, after having spent all of July off a plane, I’m finding that my plans for next month are up in the air; I suppose, figuratively and literally. Currently booked flight out (Emirates flights in Navy). For the way back, it was another airline product bucket list thing for me, flying Cathay Pacific in First Class. I know, I know, everybody’s flown that, but, I just haven’t had the opportunity yet and I wanted me some Hong Kong Milk Tea. So we hastily booked a fairly awkward flight home, thinking that flights would open up. A month out, they aren’t. Currently booked trip home on Cathay Pacific. The dilemma – how to avoid domestic the transcon. So, as you can see for the way home, its a pretty rough trip. anytime you have 3 legs, with the last one being domestic (first or economy for that matter), I feel like I return exhausted. I’ve looked, and just can’t seem to find a whole lot of space returning home, except for maybe Korean Airlines to Atlanta on their A380. That would however leave me stuck in Atlanta and needing to get another flight (maybe use my Southwest Companion Pass?). 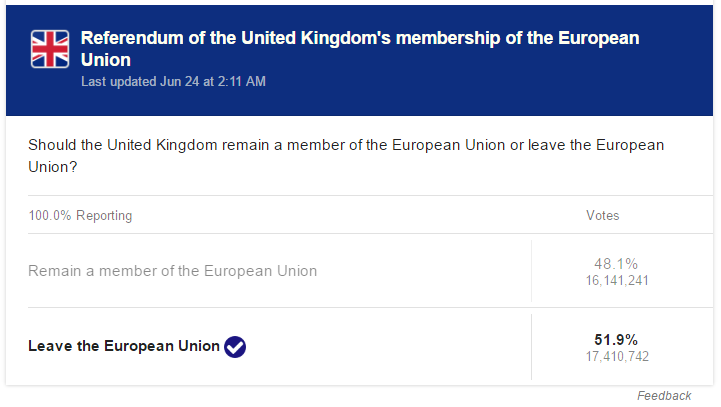 The bigger dilemma – where to go anyway? So, other than trying to get home, I still have to decide where we actually want to go. The original plan was to visit the Angkor Wat in Cambodia, then go to Phuket (really Khao Lak) for some rest and relaxation. It would require a stop though (in Singapore or Bangkok most likely) to go from Siem Reap to Phuket. Option one: is to visit two new countries, to not just see the Angkor Wat, but also to visit Vietnam. Option two: Would be to visit Angkor Wat, and then head up to Beijing to see some of the sites there before our 1 year visa’s expire. I’m not entirely sure we’re limited to just those three options, as the way home sort’ve makes a difference, because we need award availability. That said, I’m comfortable limiting the options to those as I try to match up award space home, otherwise it could get overwhelming. That’s the fun of trip planning, the conclusion isn’t until non-refundable hotels or flights get booked. I think my next step is to see if I can snag some of that Korean Air award space from Asia to Atlanta. Of course, I’m more than open to any suggestions that folks have, I could be missing an awesome alternative (e.g. I could be missing the key to seeing award space on Air China’s new 777-300ER to Dulles). I happened to see a post by Ed at Pizza In Motion about carry-on bags, and potential of having to gate check. I haven’t experienced this, but since I have a wide-body Briggs and Riley bag, I figured this was worth some further research. This has been reported before, although any of the other news sources I’ve been able to find don’t meet my “linkable” level. But the fact of the matter is that between twitter and FlyerTalk, there is a discussion about this. United is the primary culprit. But, I’d like to open the aperture a bit. The first caveat is that airlines appear to be enforcing specific dimensions. It used to be that airlines enforced maximum linear inches. From a quite search, it looks like United is enforcing a specific dimension maximum. American still enforces 45 inches (length + width + height), however, they do state, that bags cannot be more than 22″ long x 14″ wide x 9″ tall. So they appear to be mid-ling in their enforcement. So, I’ll be candid here – unlike other bloggers (that I won’t mention), I don’t have connections with the airlines. I wish I did, it would make it easier to hunt this sort of info down. That said, if I were to offer my thoughts, I would say that for United, I see no reason. For American, I would guess that they are focused on maximizing space, since they are introducing Boeing’s Sky Interior on their 737s. Personally, I don’t buy it, given the extra space. That said. I will say that when my wife and I flew Qatar’s 787 in March, my wide Briggs and Riley bag did not fit on its side, and had to be laid down (taking up more space). We were in business class, so it didn’t matter a whole lot, but, a data point none-the-less. Should you be scared about having your bag forcibly gate-checked? I don’t know, but I’d recommend that you be prepared for it. 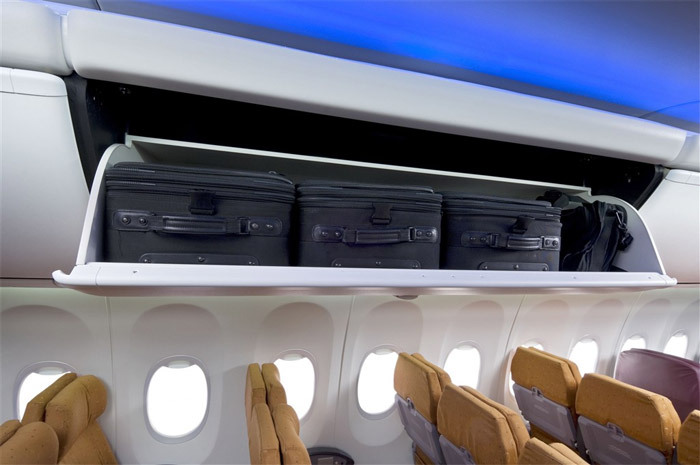 I haven’t had a bag gate checked (excluding regional aircraft), since 2011, when a Continental Gate Agent got over-zealous, and I got onboard only to see 60% of overhead space empty–we actually took off with about 30% of the space empty. But, I’ve gotten over that, and haven’t been forced to gate check since. Perhaps your greatest fear should be an overzealous gate agent, or boarding as zone 4 or 40 (I lose track of how many different zones there are now-a-days) boarding. 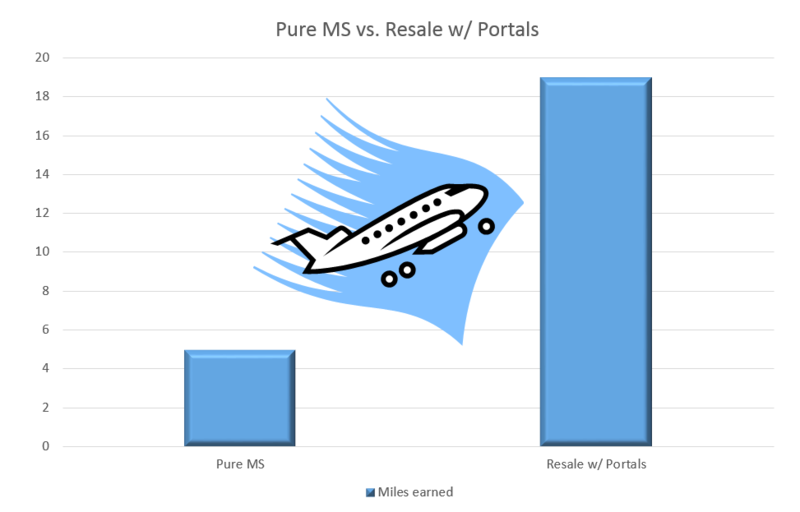 I’ve seen a few twitter conversations this week about pure Manufactured Spending (MS) vs. Reselling and MS in general, as far as time/value of MS. One was with @Milesabound who’s argument was that reselling just doesn’t compete with MS, unless reselling on a significant scale. My argument was that in some cases, it can make sense. Reselling provides the opportunity to receive cold hard cash, in addition to cash back. While I will completely agree: If the sole purpose of the miles and points game is to generate miles/points specifically for travel, then yes, you will likely best off with pure MS. If however, you are looking to put the time in to potentially receive an out-sized reward, then I would argue for reselling. Think about it this way: I’m not a stock broker or a stock trader, but, pure MS is like buying an index fund. Greater stability (at least in theory). Reselling is like stock picking. You shouldn’t dare go for stock picking, or reselling, if you are unwilling to put in the time. But, lets say, you just want to pure MS, you’re looking at a maximum of 5% return (5x), really its less, because as you scale, your ability to liquidate becomes more costly. I’m specifically vague here, because I assume that either you, the reader, know what I’m talking about, or will visit Saverocity Forums to research, because quite honestly, if you aren’t willing to research, you probably shouldn’t be MSing, let alone reselling. Just like stock picking, reselling has inherent risk. 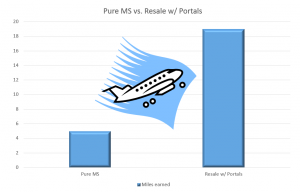 If you leverage portals, you can mitigate that risk, and potentially see a significantly higher multiplier than pure MS. Look at how I pursued the Southwest Companion Pass, with updates here, and here. I went through the Southwest Rapid Rewards Portal, I bought e-gift cards with 9x, then went back through the Rapid Rewards portal, and bought product, receiving essentially 19x (9*2+1 for the card) Rapid Reward points. The best I see through pure MS is 5x. I think its great to have a debate and difference of opinion. There isn’t necessarily a right answer. Yes, one way may generate a higher multiplier than another way, but if you can’t leverage that higher multiplier efficiently, it is outweighed by the increased time commitment. We’re glad you are joining us. We are here not to assimilate you, but to share knowledge – and hopefully help you avoid some of the pitfalls we’ve encountered over years of travel. We speak in “we” because we are a team. Joe is a seasoned travel professional, and even spent some time in the travel insurance world. He has been traveling the world since he was 17, and suffered through many of the pitfalls travelers face. It made him perfect to work with folks to prevent the “what ifs.” Now, he spends his time trying to acquire points and miles, and is more concerned with living well wherever his arrow takes him than his view from the back of the plane. Together, we hope to offer you ways to earn the travel you want, and perhaps more importantly, ways for you to travel safely, soundly, and where you want. So stick with us for this amazing ride. We’re here for you! So we encourage you to comment on our posts. If you have a question that doesn’t necessarily fit with a post, then click on the “Ask TM” link, and ask us there. We’ll leverage our combined decades of experience to answer your questions and hopefully set you on your way.